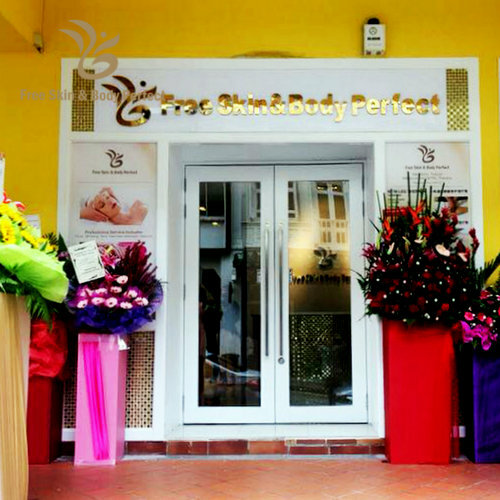 Beauty parlour Free Skin & Body Perfect has two locations in Singapore, one within The Centrepoint mall (176 Orchard Road) and another at 75 Tras Street. The services provided by Free Skin & Body Perfect have been engineered for perfection, capitalizing on the most advanced technologies and specialized products in the field. You can choose from a wide range of services from pampering & hydrating treatments to anti-acne and whitening facials, slimming treatments, bust enhancing and firming treatments to eyebrow shaping, and more. One of the available treatment categories is Meridians and Tissues Manipulation (MTM) therapy, which is a form of remedial massage that utilizes buffalo horn tools to provide effective relief for chronic pain and muscle stiffness. The range of MTM therapies include MTM Face Therapy, MTM Back Therapy, as well as MTM Tummy Therapy. There’s also Moxibustion, one of China’s most ancient arts of healing, using traditional Oriental ancient herbal (especially Ai oil) treatment to produce a comprehensive warm flow of qi in meridians or around the affected areas of the body. The official Free Skin & Body Perfect Facebook brand page is located at www.facebook.com/FreeSkinBodyPerfect. Following the Facebook page, you’ll receive updates about the salons’ current promotional offers, events, and much more.